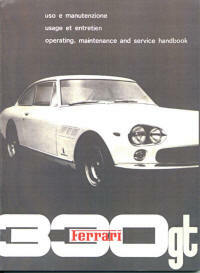 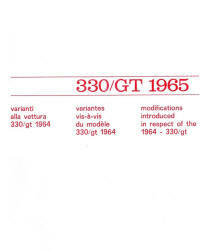 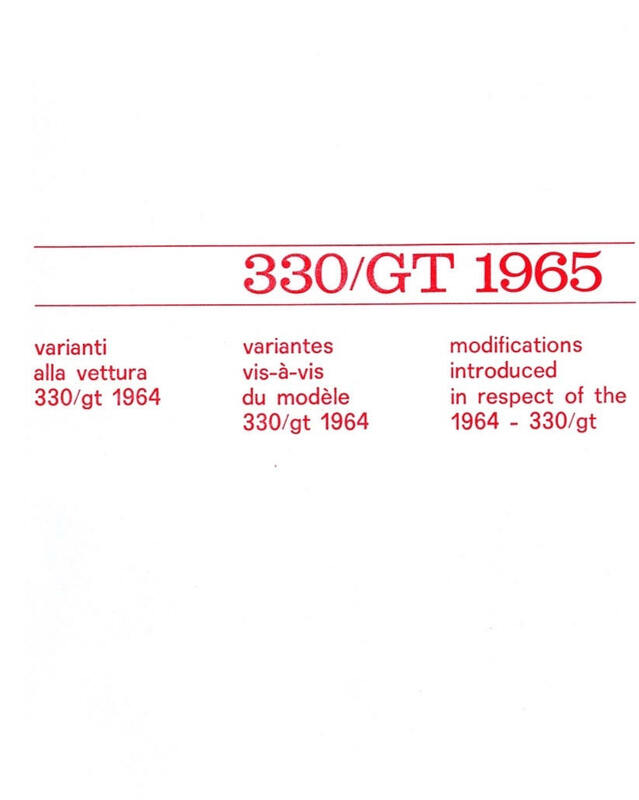 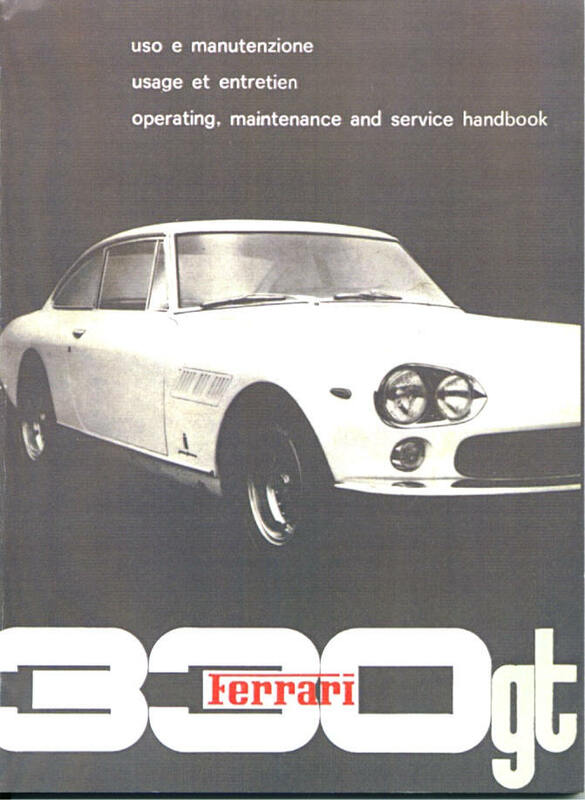 All of the 330 GT owner's manuals have the same 106 pages. 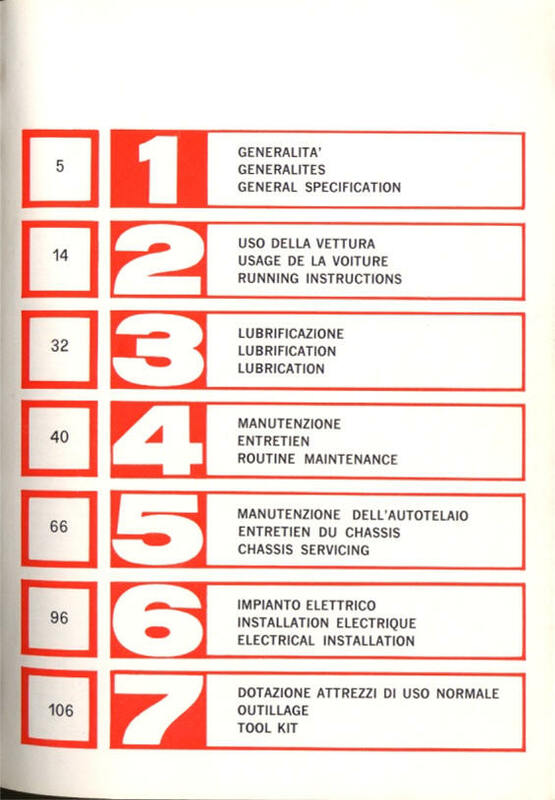 Only the covers and interior colors are different. 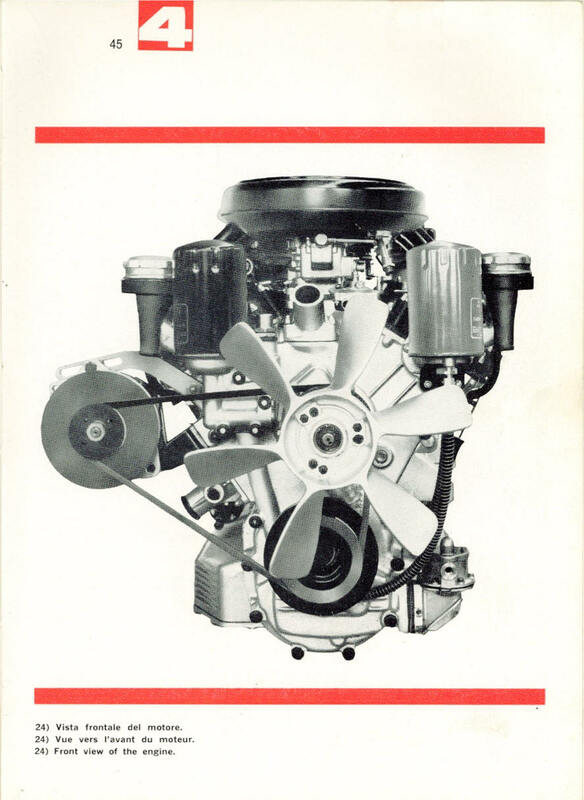 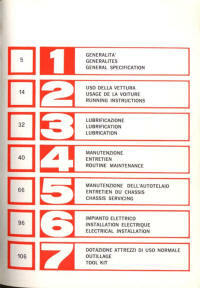 Starting with the interim (5 speed) production, the 1965 addendum was added, either as a loose insert or glued in the front. Note that this addendum shows a Series II model picture even though it was supplied with the interim owner's manual. 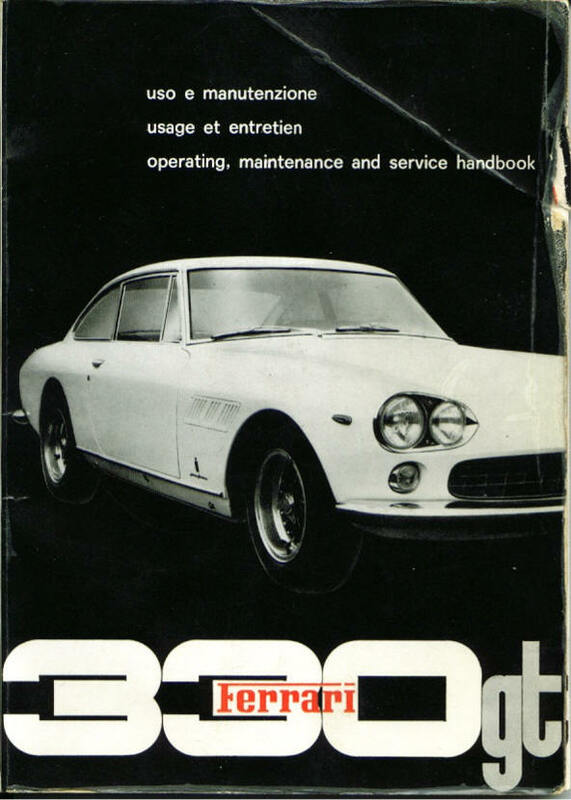 Later, a single page addendum was added that covered the revised dash layout that was in production soon after Series II model came out. 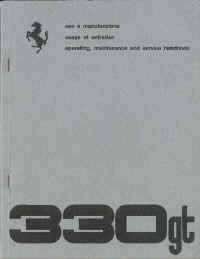 contact me to supply a picture. 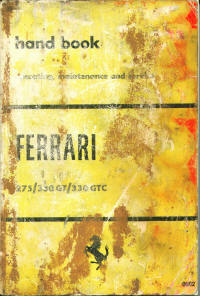 the second printing (orange color) or the green cover reprint. 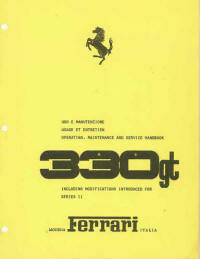 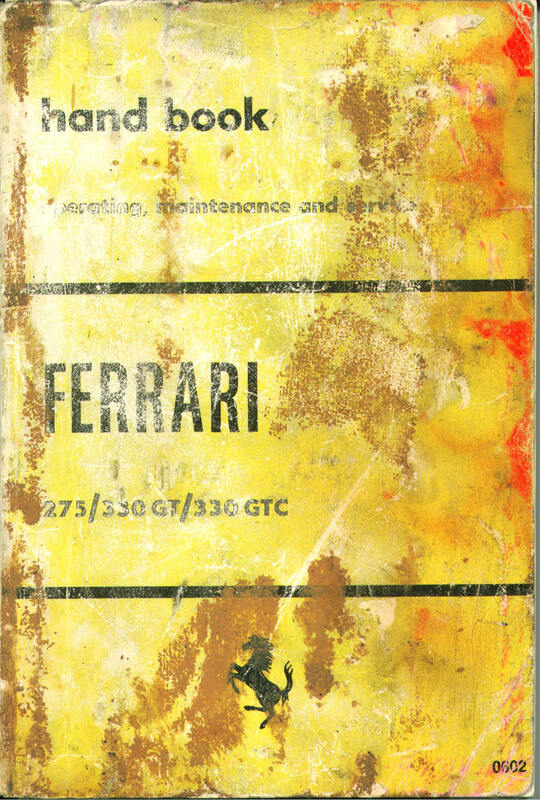 while Ferrari used up the existing stock of owner's manuals. 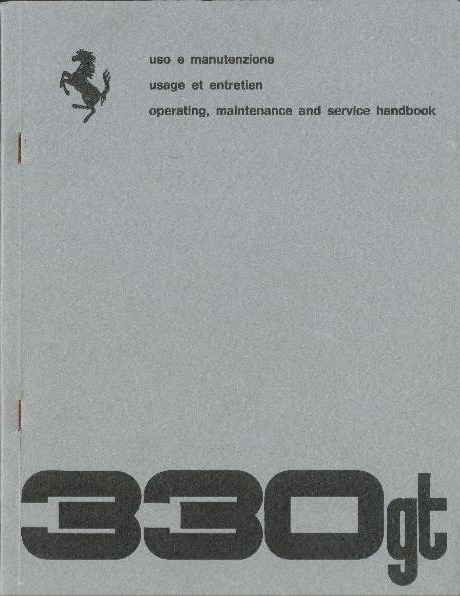 When bound in an owner's manual, the wording on this cover is in black instead of red as shown below.